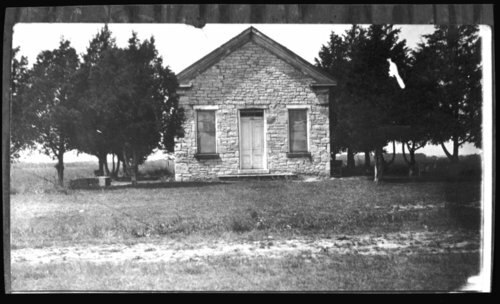 A photograph of the Congregational Church in Geneva, Kansas. A note on the back states "oldest unaltered Congregational Church in Kansas." It also notes that the cupola had blown off in a tornado shortly before the photograph was taken.